Spoilers: It’s actually a literal baby Groot, but he’s so cute you won’t even care. Guardians of the Galaxy 2 director James Gunn shared this “1st still” of Baby Groot from this year’s Boston Comic Con. 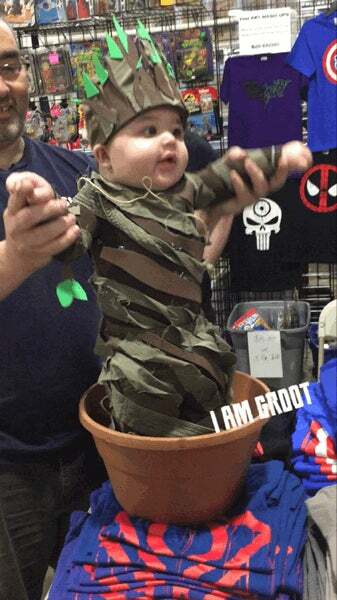 While he might not actually be Groot, it doesn’t matter because he’s a baby and he’s precious and he’s in a pot. 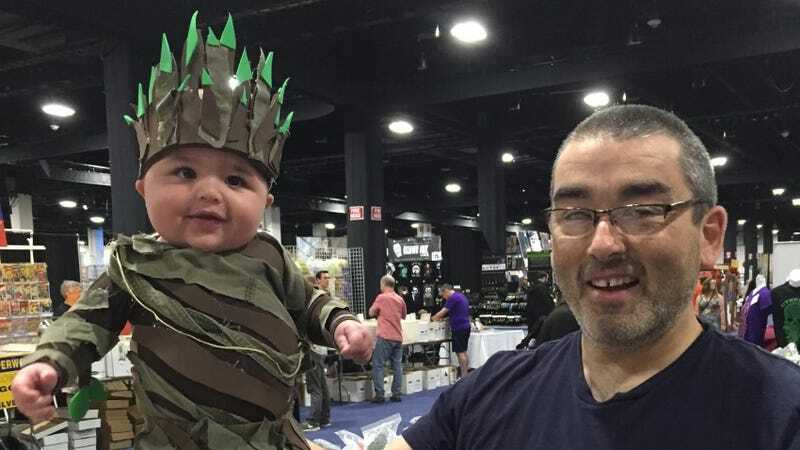 According to a Boston Globe image, this is 5-month-old Charlie Lockwood, son of David Lockwood from comic shop Comicazi. On Imgur, wife Tracie Lockwood promised that Baby Groot was well supported, saying they were propping him up because he’s not old enough to stand yet. So far, it’s the only cosplay costume that they’ve shared of their son, but I’m guessing he’s got a bright future ahead of him in the world of nerdy dress-up. Okay I seriously don’t even care what else happens today, the world is now perfect and I am happier than anyone who has ever lived before or will ever live again.